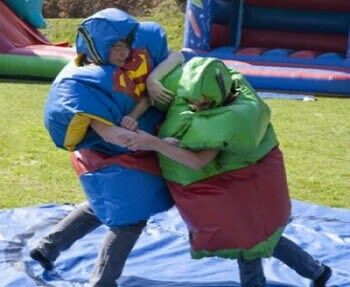 Our super hero sumo wrestling suits are a fantastic alternative to our traditional sumo wrestling suits. Choose either The Hulk or Superman. These suits are guaranteed fun for both participants and spectators. Suitable for teenagers and adults, comes with padded head gear and mat.